There is no person on this Earth who hasn’t taken a look on his/her horoscope at least once due to curiosity. 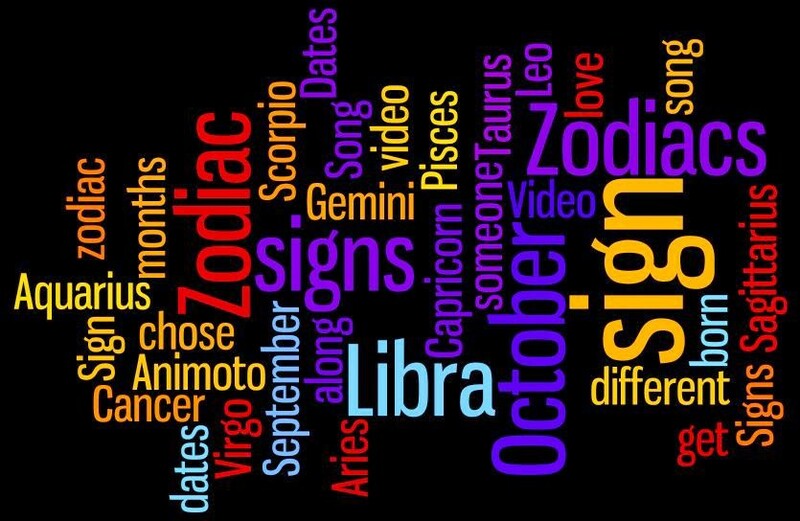 Although many don’t believe in astrology, one cannot deny there is often something disturbingly true in zodiac signs’ characteristics written by astrologers. Though a lot can be written on this theme, I have summed up the most important negative and positive qualities of the star signs. Adventurous. Aries absolutely adore to take risks and are not afraid of them. Courageous. There is no braver sign then the Rams! Versatile. Since their constant thirst of adventures, an Aries often tries new things in the life. Lively. The typical Aries is extremely energetic, there is no way for you to miss it. Positive. This is why they are so popular in the social circles. Passionate. Rams will usually take up with a new project with all of his heart. Stubborn. I am pretty sue you know this if you have an Aries close to you. This trait makes them hard to deal with! Impulsive. And in addition, impatient. Indiscipline. They are not the most organized people in the world. Confrontational. Sometimes you’ll even have the feeling that Rams love to argue. Generous. Will help anyone in need. Dependable. This is what makes them excellent employees and friends. Down to earth. Also polite and pleasant. Patient. Unlike the impulsive rams, a true Taurus is patient. Persistent. Failures and setbacks rarely occur. Stubborn. Horns are horns, though they are easy going and respectful. Self-indulgent. They tend to be rude and ignorant of others’ emotions. Lazy. When not motivated properly, they won’t move even a muscle. Materialistic. Mainly because their future is extremely important for them. Possessive. We can say that this is the major negative trait of Taurus which leads to jealousy and resentment. Adjustable and flexible. Twins definitely don’t want to miss a thing. Soft-Spoken. They possess brilliant communications skills. Witty and very humorous. The best part of it-you’ll never get bored in their company. Lack of Consistency. It’s hard for them to stay dedicated to one thing for a long time. Superficial. Twins don’t really pay attention to details. Lack Decision Making Ability. Constantly on two minds. Lack of direction. And they easily get bored. Anxious. Gemini-born people tend to bite off more than they can chew and this results in anxiousness. Creative. Brilliant ideas are expected from them. Spontaneous. Crabs usually rely on their intuition when taking decisions. Faithful. Moreover, they often do not expect anything in return. Loving and protective. In case a crab loves you, you’ll immediately know. Emotional. Although sometimes they seem distanced and icy. Moody. Cancer-born people tend to suffer from mood swings. Pessimistic. Willing to abandon everything if they experience a failure. Clingy. They sometimes find it hard to move on. Overemotional. Imaginary hurts and setbacks are not rarely seen. Egoistic. Actually, their ego is so big that it stumbles them in their path to success. Dominating. Because he/she is the King of the Jungle, remember? Arrogant. Self-centred. Because this is how a king should behave! Watchful. An extreme attention to detail. Intelligent. And they are always happy to learn more! Practical. A true Virgo doesn’t believe in living in a fantasy world. Analytical. Something complicated? Call a Virgo and he/she will solve the mystery. Reliable and trustworthy. He/she will absolutely do their best to do the job. Overcritical. This is because they already have a clear picture in their minds how the things should be done. Fussy. Sometimes they get lost in the details. Fastidious. Everything must be perfect! Conservative. No modern ideas, please! Judgemental. Because, as I said, everything must be perfect! Tactful. And also experts in getting things done. Romantic. Don’t forget their ruling planet is Venus. Charming. Their manner is very pleasing. Just. The fair play is a high-valued virtue by them. Diplomatic. A true Libra will always listen to the different points of views patiently. Superficial. Can be so impressed by someone’s outer beauty that they can forget about inner one easily. Detached. Sometimes they pretend to be pleasant just because they don’t want to displease anyone. Unreliable. Prone to changing their minds and this is why they sometimes don’t keep their promises. Lazy. Of course. Like the other air signs. Indecisive. The hardest thing for Libra-born people is to make whatever decision. Focused. One does not simply divert a Scorpio from his path. Brave. Regardless of how difficult the situation may seem, they will make their best to solve it. Balanced. Passionate, but not immature and careless. Faithful. He/she will always stand by you as he/she promised. Ambitious. What motivates them best are power, position and money. Intuitive. In fact, they often read other people’s mind. Secretive. They just don’t trust people. Resentful. Despite their look, a Scorpio can be hurt easily by negative treatment. Manipulative. They love to dominate. Practical. All facts must be taken account before a decision is made. Ambitious. Goats usually have big goals. Wise. Also mature and sensible. Disciplined. Because their big goals require it. Patient. They understand everything good takes time. Pessimistic. Going against the odds is not something they like. Stubborn. Goats do not easily change their views. Shy. They enjoy only the company of their best friends. Friendly. Aquarius-born people are famous for their ability to make a lot of friends. Humanitarian. They do their best to make the world a better place to live. Intelligent. Their interests are wide-ranging. Creative. There is nothing more boring than the monotony. Independent. Both emotionally and financially. Loyal. If an Aquarius gives his word, he will fulfil it for sure. Unpredictable. This sign will not follow any behavioural pattern. Inconsistent. In fact, it depends on their mood. Detached. Live and let live! Stubborn. Though they are excellent listeners it is extremely difficult to make them change their mind. Aloof. Sometimes they become distant for no particular reason. Extremist. No middle path exists for them. All or nothing! Imaginative. They like to think outside the box. Kind. Fish are unusually soft people. Compassionate. Always in a helpful mood! Intuitive. And they rely on their intuition when making decisions. Sensitive. Moreover, Fish are affectionate and gentle. Selfless. Though this trait is not always appreciated by others. Escapist. When the things go wrong, their luck is responsible. Idealistic. Hence even the best sometimes seems like mediocre to them. Over-sensitive. It is not hard for them to get very emotional. Pessimistic. Especially when the things don’t turn out as they expected. Lazy. Only for things that don’t matter to them. Different Zodiac signs’ attitude to cleaning and domestic chores. Before writing this article, I also consulted with Handyman North London. What is Your Zodiac Sign Approach to Cleaning? Freelance writer. DIY deviant. Passionate creator & dreamer. Avid rock music lover, time-to-time singer.